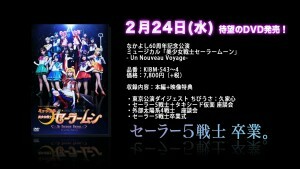 The DVD for Sailor Moon Un Nouveau Voyage will be released on February 24th. Those interested in shelling out 6,233 yen, about $55 US, can preorder the DVD from Amazon Japan. 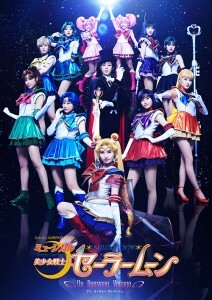 Two clips have been released on the official Sailor Moon site to promote this release. They are embedded below. While I thoroughly enjoyed this musical, which I realize I never wrote a proper review for, I am already disappointed with this DVD release. I am once again asking myself, “Why DVD and not Blu-Ray?”. The last two musical DVDs have had terrible video quality, with interlaced 480i video. This musical deserves better than VHS era resolution. An HD version does not seem possible as footage from these clips show video artifacts normally seen with interlaced video. Without getting into too many technical specifics an interlaced video is when one field is shown at a time, something we dealt with in the days of standard definition video because of the way a TV signal worked. We don’t need to deal with this anymore in the era of HD terminals. DVD supports progressive scan video, which is usually what is used for movies. Some older TV shows and the occasional low budget film will be shot on video and only have interlaced source material. This musical, which took place in 2015, really should have been shot on some modern cameras but it looks like either the cameras are cheap or there is some really poor video editing going on once again. In contrast Star Trek is 50 years old and was released on Blu-Ray in beautiful 1080p HD years ago. 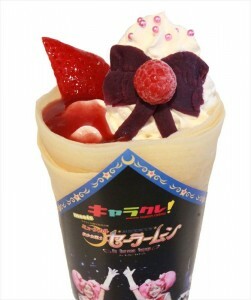 So buy this thing like I am because you like to support Sailor Moon. It will have some cool features no doubt and it is the only legal way of watching this musical on home video. The less than totally legal way to watch this musical, with English subtitles, would be to download the fansub from Miss Dream. 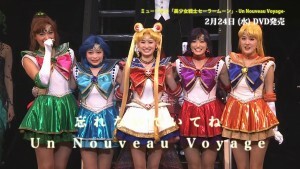 Last Sunday the Sailor Moon Un Nouveau Voyage musical was streamed to viewers in Japan on Niconico. Since then fan subbing group Miss Dream worked tirelessly to translate this stream. A fully subtitled version of this musical is now available to download on the Miss Dream web site. 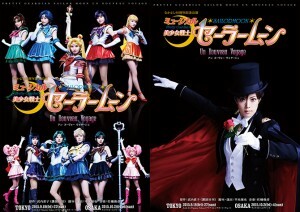 This musical follows the Infinity arc of the Sailor Moon Manga which is equivalent to the Sailor Moon S season of the anime. 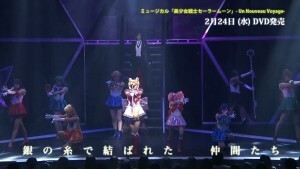 This introduces us to Sailor Uranus, Neptune and Saturn as well as the villains the Death Busters. Let us know what you think of this musical in the comments! 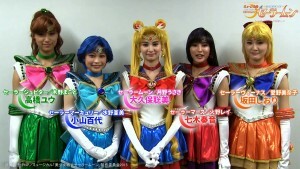 Here’s a promotional clip for the upcoming Sailor Moon musical Un Nouveau Voyage or A New Journey. There isn’t much going on in this clip, which features no actual musical numbers, but we get a look at the costumes and get a few comments by the main cast. 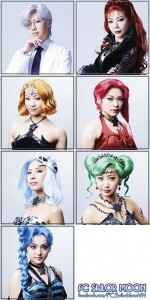 We previously learned that this will be the final musical that these girls star in. You can watch the clip embedded below. This new musical will cover the Infinity story arc which introduces us to Sailor Uranus, Neptune and Saturn as the Sailor Guardians face off against the Death Busters. It will be playing in Tokyo from September 18th to the 27th and then in Osaka from October 2nd to the 4th. 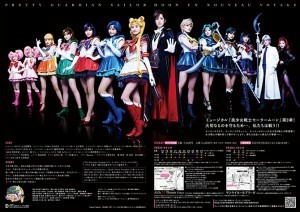 Here’s a look at the new poster, and the full cast, of the upcoming musical Pretty Guardian Sailor Moon Un Nouveau Voyage, which is French for A New Journey. We now have official confirmation that the musical will cover to Infinity Story Arc of the manga, and with this it will include the new characters Sailor Uranus, Sailor Neptune and Sailor Saturn in addition to other characters who appeared in the previous story arc. With this new poster we also have the announcement of the casting for the three new Sailor Guardians showing up in this musical. 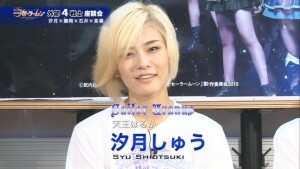 Shuu Shiotsuki, who plays Sailor Uranus, is a veteran of Takarazuka Revue since 2004. 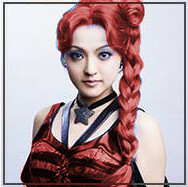 Sayaka Fujioka, who plays Sailor Neptune, is an actress who has done a few TV roles. 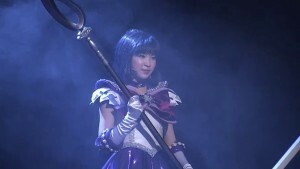 Karin Takahashi, who plays Sailor Saturn, is an established singer who has performed theme songs for a number of anime series. 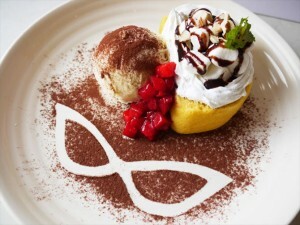 You can find out more about Karin Takahashi at her official blog. 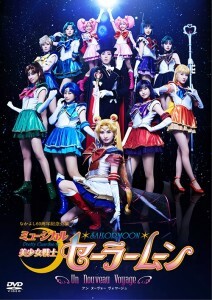 We now have a poster, title and release date for the latest Sailor Moon Musical. 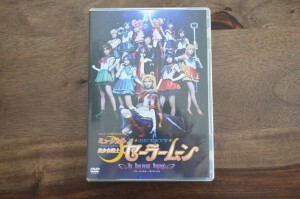 The title is Pretty Guardian Sailor Moon Un Nouveau Voyage, which like the title of the second musical is in French. Many have been translating this as “A New Voyage”. I feel the title translates more accurately to something like “A New Journey” or “A New Trip” as the French word voyage has more uses than the English voyage does. Journey is more likely to be what the title is referring to, as it’s more of a new chapter in the lives of the Sailor Guardians whereas trip would insinuate the Sailor Guardians are going on some kind of vacation, as used in “Bon voyage” which is not likely the case given what we know about the third story arc of the Sailor Moon manga. All considered I will be using “A New Journey” as the English title on this blog and will change this should there be any official confirmation of an English title. The main cast of five girls will be the same as the last musical but this will be their final performance together. No further casting details have been revealed at this time. 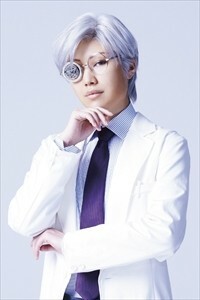 The musical will be playing in Tokyo from September 18th to the 27th and then in Osaka October 2nd to the 4th. 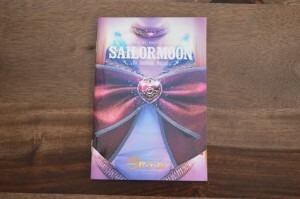 The story will cover the Infinity arc of the manga, Sailor Moon S from the original anime, which has the Sailor Guardians dealing with the Death Busters and meeting Sailor Uranus, Sailor Neptune and Sailor Saturn. 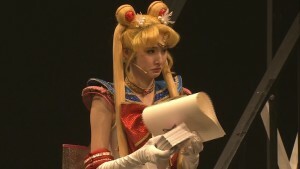 Chibiusa will continue to be present as Sailor Chibi Moon. 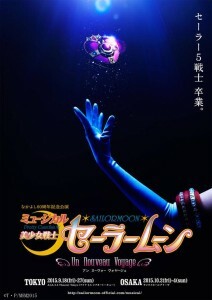 The poster features Sailor Moon’s Cosmic Heart Compact. 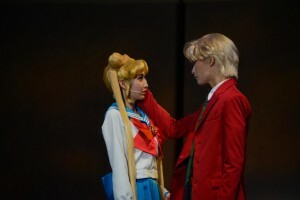 Source: The Sailor Moon Musical Official Site and Sailor Moon Musical Staff Blog.